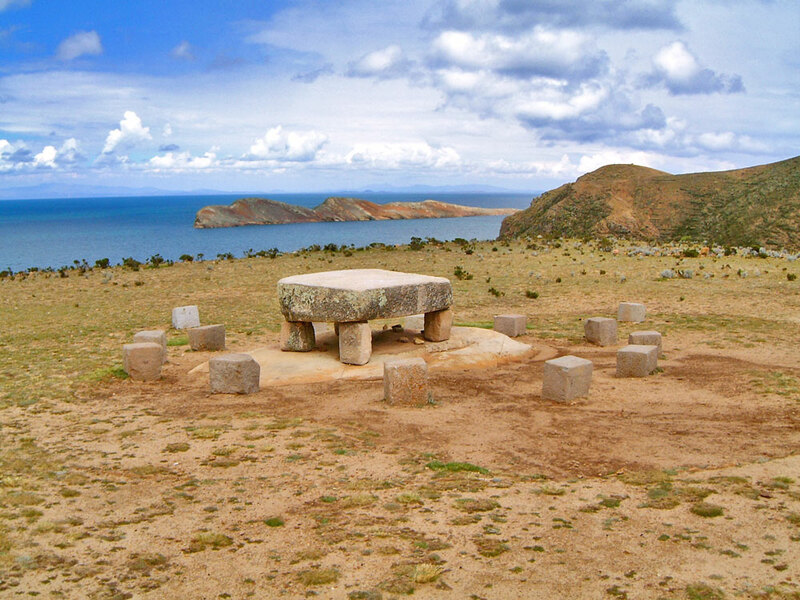 This enigmatic altar sits amidst a ring of 13 stones near the Roco Sagrado or “Sacred Rock” at the northern end of the Isla Del Sol. The number thirteen is used frequently in mysticism, but probably relates to the 13 lunar cycles in a solar year. So, whilst it may look like an altar with 13 seats, it is more likely a calendar and the 13 stones would have once been carefully placed to aid observation.